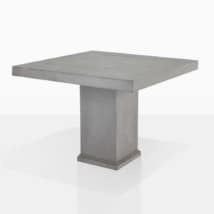 The Raw Concrete Rectangle Dining Table has a modern design and looks stunning in outdoor spaces. It is made with a composite blend of resin and concrete, this makes it lighter than solid concrete. 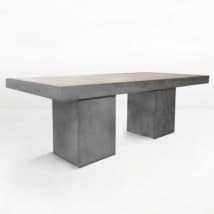 You can fit 6 to 8 chairs comfortably around this table depending on whether they are side or arm chairs. We love pairing this table with our a-grade teak or wicker dining chairs depending on the look and style you are going for. 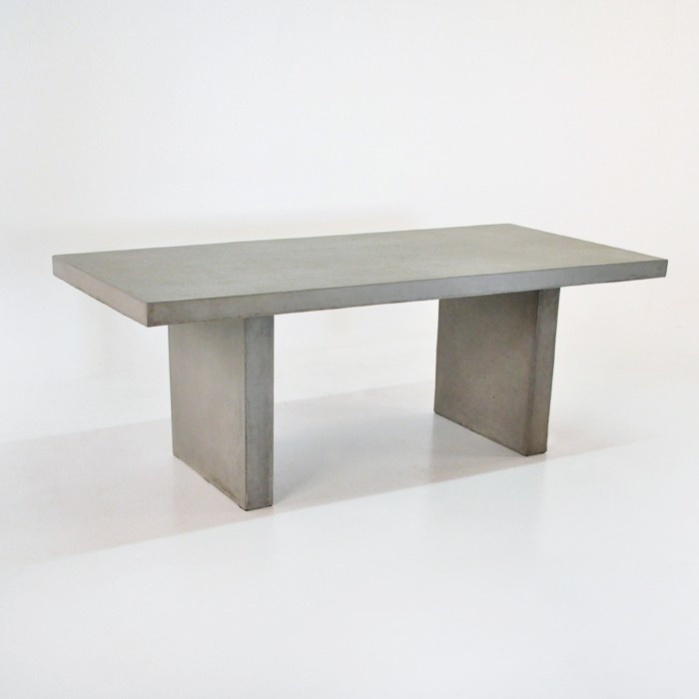 If you have any questions about this raw concrete outdoor dining table then don’t hesitate to call or email us today! 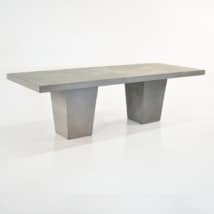 Please note that our concrete products are handmade with poured concrete, this means that no two will be exactly alike. Each one may vary slightly in size. W35" x L78" x H30"